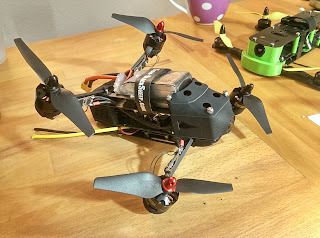 Here are some images of my racing copter. Some soldering of the ESCs etc. still has to be done. I am also waiting for some resistors and capacitors for my flight controller to arrive... But I guess the maiden flight will be this weekend :-D.